Elara by Hilton Grand Vacations – Centre Strip sits boasts of an enviable location on the posh Central Strip in buzzing Las Vegas within close proximity of 170+ delightful shops and restaurants on the Miracle Mile. 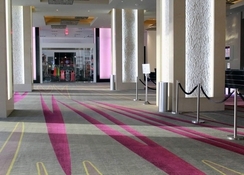 Providing plush, resort like comfort this 52-story luxury hotel promises a relaxed stay with unobtrusive service and excellent guest amenities. 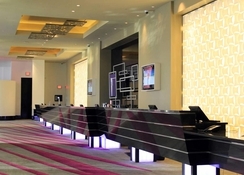 Featuring a health club and a tropical outdoor pool, this sleek hotel is adjacent to the Planet Hollywood Resort & Casino complex: home of a renowned casino, the Mandara Spa and nine restaurants. 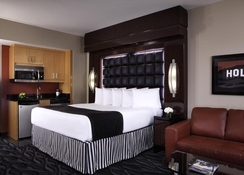 Well-appointed, spacious guestrooms with floor-to ceiling windows offer magnificent views of the Strip, city, the desert and mountains from, and come with modern amenities like flat-screen TVs and mini fridges. Elara by Hilton Grand Vacations is located on the Las Vegas Strip, which is a hub of shopping, nightlife and entertainment. The Miracle Mile Shops at Planet Hollywood are barely 200m away. The Elara by Hilton Grand Vacations - Center Strip is also very well connected to the larger city with the Monorail - Bally's/Paris Las Vegas Station being 600m away. 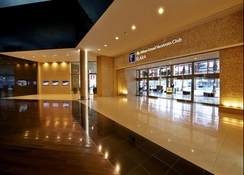 The McCarran International Airport is only 3km from the hotel. The guestrooms and suites at Elara by Hilton Grand Vacations – Centre Strip feature floor-to-ceiling windows and marble bathrooms. King size beds, life size mirror, MP3 clock radio, USB charger, kitchen or a kitchenette with a microwave as well as a mini-fridge and a 42-inch flat-screen satellite TV are standard all guest rooms. While guestrooms come in Studio 1 King category, suites come in categories like One Bedroom King Suite With Sofabed, Two Bedroom Two King Premier Suite With Sofabed, Two Bedroom Two King Suite With Sofabed, Three Bedroom Three King Suite With Sofabed, Three Bedroom Three Kings Premier Suite With Sofabed, Four Bedroom Four Kings Premier Suite With Sofabed, Four Bedroom Four Kings Suite With Sofabed, Corner Two Bedroom Two King Premier Suite Sofabed, Corner Two Bedroom Two King Suite With Sofabed and Junior One King Suite With Sofabed. There is a Starbucks at the hotel where guests can grab a steaming coffee along with snacks and pastries. In-room dining serves breakfast, light bites, sandwiches, burgers and drinks. There’s a lobby bar where guests can relax with cocktails and light bites and a seasonal pool bar and grill. 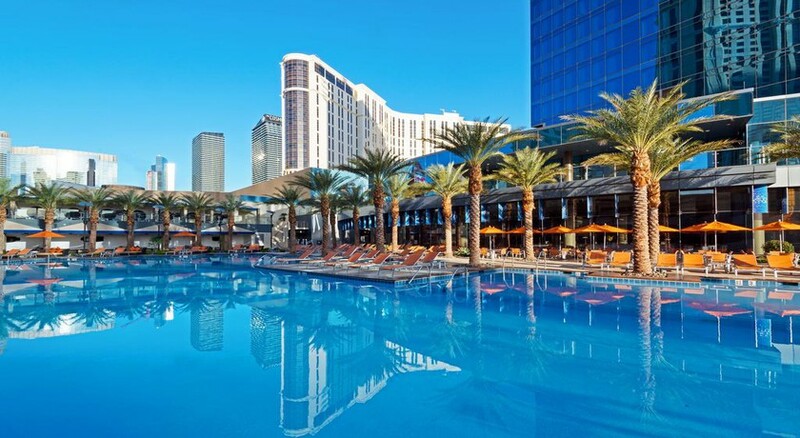 Discover a Las Vegas oasis by Elara by Hilton Grand Vacations – Centre Strip’s tropical outdoor pool. Guests can soak in the whirlpool, lounge on the sundeck unwind with a drink at the seasonal pool bar and grill. Those who wish to stay active can head to the modern fitness centre.